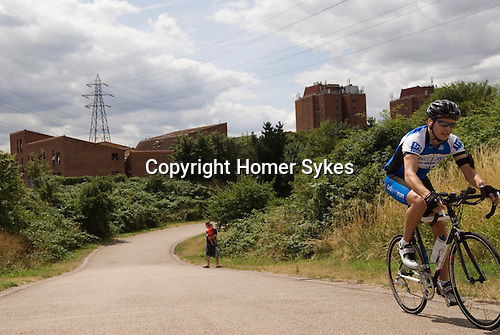 The Lea valley Eastway cycle circuit in background the Clays Lane housing and tower block development. East London regeneration area for the 2012 Olympic Games park village and arena. London 2006.